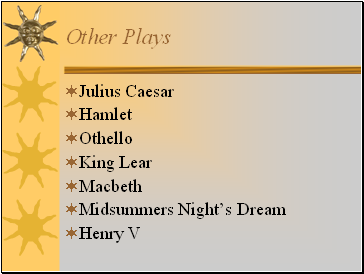 What we know about Shakespeare comes from church documents and legal records. 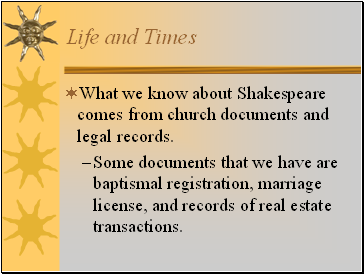 Some documents that we have are baptismal registration, marriage license, and records of real estate transactions. 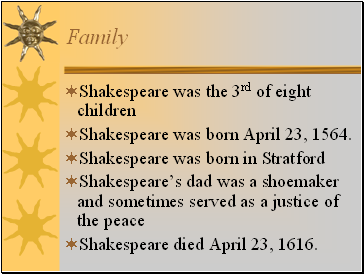 Shakespeare was born April 23, 1564. 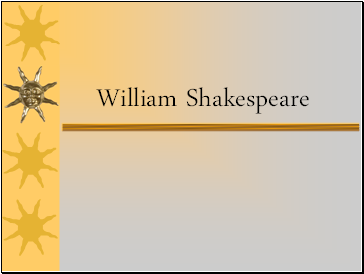 Shakespeare died April 23, 1616. 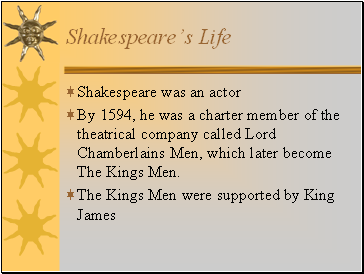 By 1594, he was a charter member of the theatrical company called Lord Chamberlains Men, which later become The Kings Men. 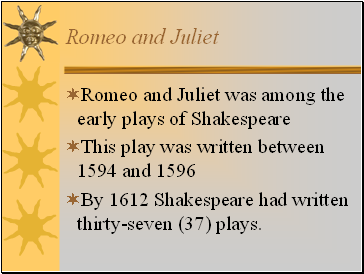 By 1612 Shakespeare had written thirty-seven (37) plays. 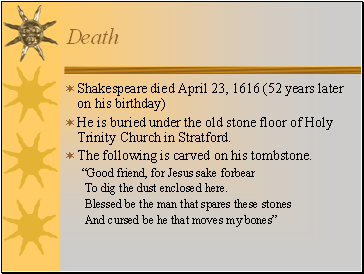 He is buried under the old stone floor of Holy Trinity Church in Stratford. 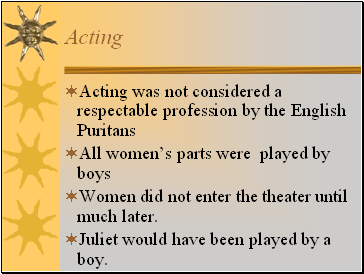 The following is carved on his tombstone. 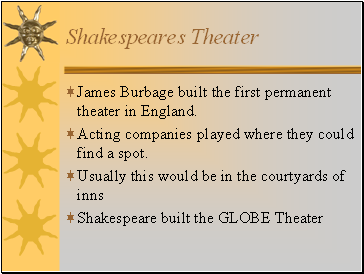 James Burbage built the first permanent theater in England. 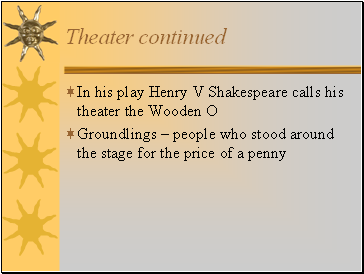 Acting companies played where they could find a spot.